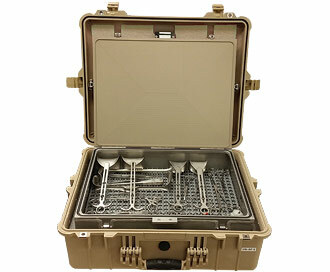 The ROSS M1 sterilization device was specifically designed to support military use in Forward Operation Bases and other remote locations around the world. The ROSS M1 unit provides a new capability as a portable and user-friendly system for sterilizing surgical instruments in a timely manner (35 minutes) without having to rely on a clean water supply or other typical logistic requirements. 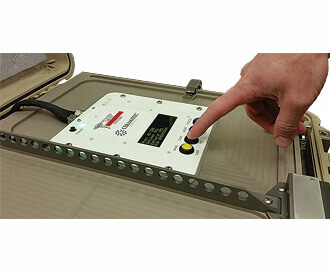 The device has been evaluated by U.S. Special Forces, receiving a system usability score of 97/100. This is an indication of the device’s ergonomic qualities, safety, and ease of use. Given its unique design and intuitive operation, the ROSS M1 can be used in non-military settings as well. For example, the ROSS M1 is well-suited for remote casualty care in isolated parts of the world and during times of disaster relief where field hospitals or triage are erected. Moreover, veterinarians would find the ROSS M1 indispensable as they provide care to animals outside a hospital environment. The Results of an Early Operational Assessment by the U.S. Air Force Special Operations Command, Including Surgical Technicians, Surgeons, and Dental Technicians. 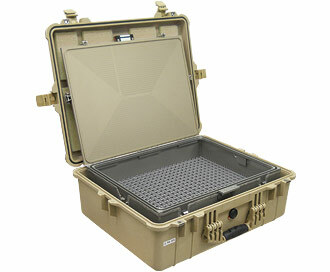 Military surgical teams only available sterilization resources use steam. Steam sterilizers require significant power and a source of potable water. These existing technologies have numerous deficiencies which make them unsuitable for field use. In addition to resource requirements, the existing equipment is large, bulky, and not designed for unit transport. Due to these constraints these devices are rarely used and often there is a scarcity of sterile surgical instruments. The ROSS M1 successfully was evaluated by a Special Forces surgical team and achieved a system usability of 97/100. The battery-powered ROSS M1 could support special operations and conventional force surgical teams during a wide array of operations. Trauma care in remote locations involves significant challenges. The availability of sterile surgical instruments can be a hindrance to providing the immediate care often required. If non-sterile equipment is used, it could result in serious complications including surgical site infection and possibly death. 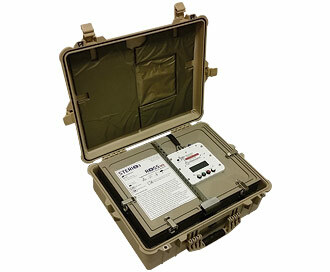 The ROSS M1 is a standalone device that could be easily transported to nearly any location world-wide. Remote areas and communities with limited infrastructure could utilize the device to provide sterile surgical tools whenever they are required. 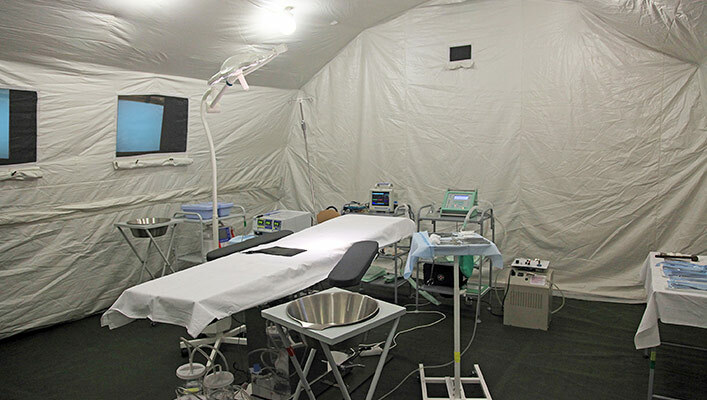 Field hospitals and triage care in remote locations often have a limited supply of sterile surgical equipment. The minimal logistic footprint, portability, durability, and fast process times make the ROSS M1 a great solution for these far forward operations. The ROSS M1 is user friendly with minimal training and the fully automated process can successfully sterilized instruments in approximately 30 minutes. Pre-hospital care involves the treatment provided prior to a patient reaching an established hospital emergency department. In order to improve the survivability of trauma injuries, surgical tools are required to manage blood loss and stabilize vitals. Time is a vital aspect of pre-hospital care. The ROSS M1 has fast process times, and the ambient temperature process leaves no toxic by-products thus instruments processed by the device are ready for immediate use. 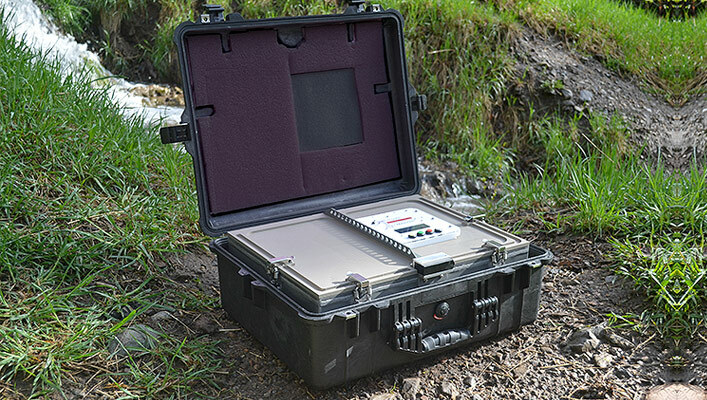 The ROSS M1 is packaged in a rugged case with a minimal logistic footprint which is well-suited for Emergency Medical Services and other forms of pre-hospital care. Sadly, in the event of a natural disaster such as a hurricane, tsunami, earthquake, or flood there are often numerous casualties. 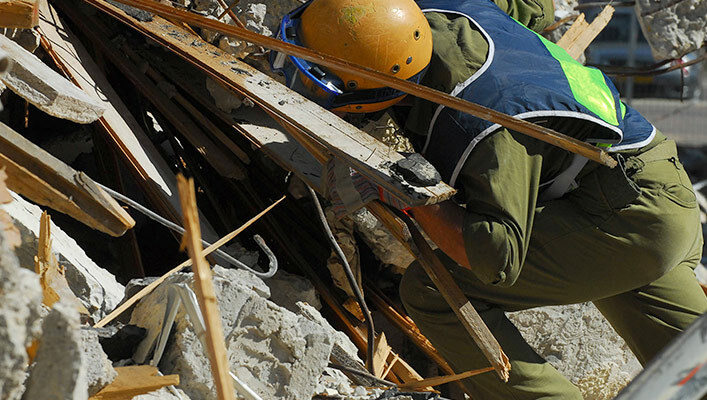 In these scenarios, the local infrastructure is usually damaged and people are injured. To care for the critically injured, sterile surgical instruments are required. The man-portable ROSS M1 would be an ideal resource for medical personnel faced with this tragic circumstance. Even in the event where no power or clean water is available, the ROSS M1 could utilize battery power to rapidly sterilize surgical tools at the point of care. 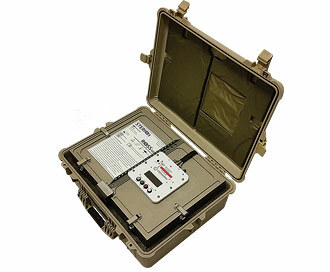 The ROSS M1 is designed to meet the needs of military personnel in remote operations. 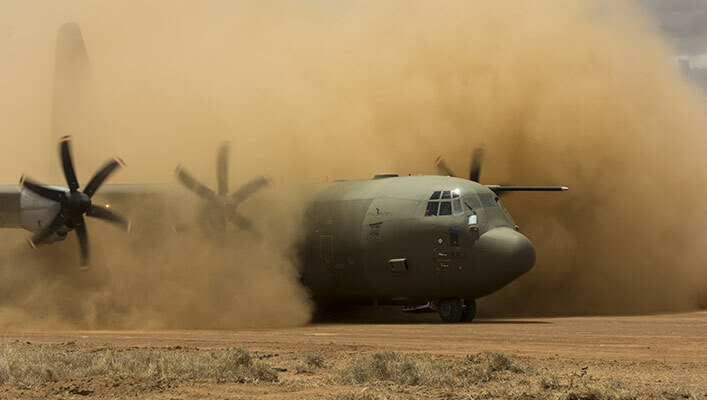 The attributes required for demanding military applications would benefit anyone required sterile instruments in an unconventional location. Veterinarians are often performing surgeries in the field. The low cost and portability of the ROSS M1 make it a logical choice for veterinary care. Additionally the U.S. military often performs health and wellness checks for rural communities and their livestock. The ROSS M1 is ideal for these type of scenarios. 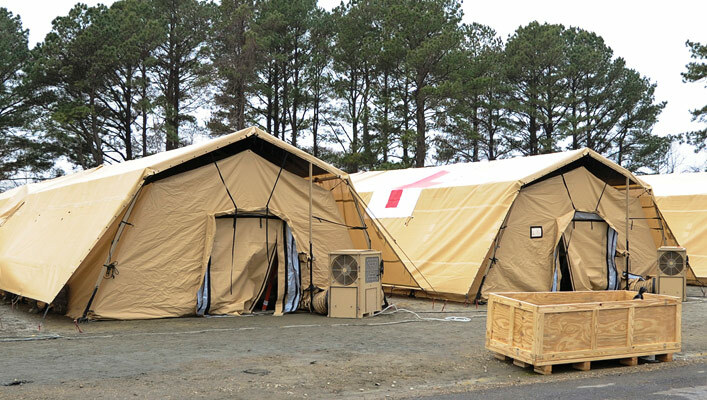 allow medical teams to treat the injured in Forward Operating Bases and in remote areas worldwide. 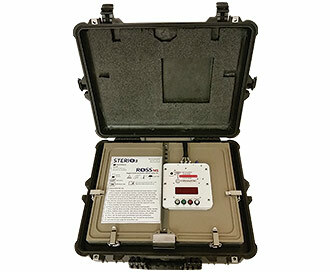 SteriO3 is the manufacturer of the Rugged Ozone Sterilization System M1 (ROSS M1). ROSS M1 increases the availability of sterile surgical instruments due to its highly portable, rugged design, and quick process times. Pending 510(k), not available for sale within the United States. © 2016-2018 SteriO3, LLC. All rights reserved.